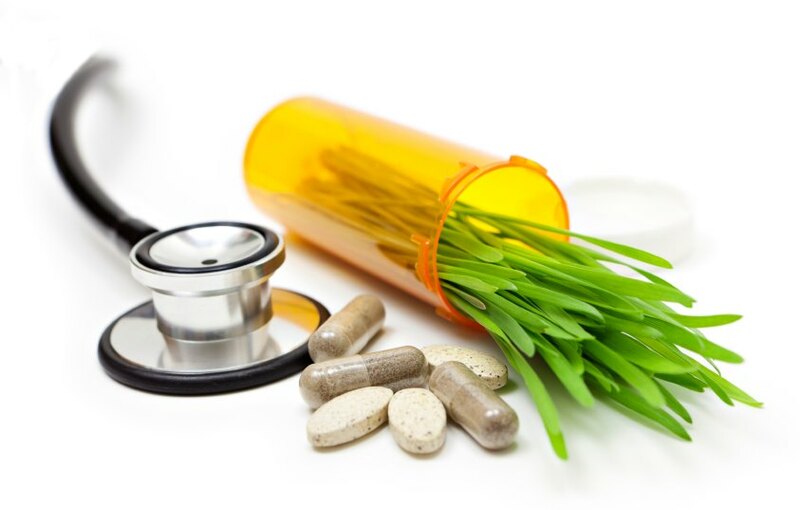 Does your health depend on natural supplements, remedies or traditional products? Do you know that a proposed new bill is threatening the availability of the products you rely on? Some are already impossible to get hold of. Then sign a petition by the Traditional and Natural Health Alliance to the National Council of Provinces to stop Bill 6, which may destoy your choice to use natural products. Whether you are a manufacturer, importer, retailer, health practitioner or a health conscious citizen, please sign this urgent petition to save your constitutional right to use or have available, safe, high quality and efficacious Traditional & Natural Health Products in South Africa. In November 2013, the South African pharmaceutical drug regulator, the Medicines Control Council unilaterally classified all non-indigenous Natural Health Products in the form of herbal medicines, homeopathic medicines, vitamins, minerals, probiotics etc., as a sub-category of pharmaceutical drugs in terms of the 50 year old Medicines and Related Substances Control Act (Act 101 of 1965). This original Act was envisaged by the then legislators to regulate potentially high risk, synthetic drugs which were flooding the market that time, and rightly so. Today, properly prescribed prescription drugs are now the 3rd leading cause of death due to adverse drug reactions in the post industrial world. Natural Health Products had and continue to have a relatively unblemished safety record. No prior consultation with affected stakeholders occurred prior to these regulations being passed, and still to this day there is no transparency or meaningful consultation between the regulator and those adversely regulated. The regulations are constantly being amended at a whim, without consultation, and gradually becoming similar to those imposed in some Western countries, like Canada, where the natural health industries and consumers lost over 20 000 health products and nutritional supplements after the implementation of draconian regulations. The South African regulations for Natural Health Products were gazetted, despite there being no definition for such products in the Medicines Act, rendering these regulations ultra vires and unconstitutional. The regulations prescribe the manner in which all natural health products are imported, manufactured and sold. They are excessively restrictive and in most part inappropriate to these low risk substances, which are more food-like than drug-like. The consequence of this ill-considered regulatory regimen is that many companies will be forced to stop producing health products in the not too distant future when these regulations are fully implemented. The cascading destructive impact will be that many independent health stores will disappear, retailers will only stock weak marginally effective products, practitioners will lose ranges of valuable natural medicines, and users of natural health products will have their personal choice in healthcare seriously undermined, effectively decimated. The imposition of the pharmaceutical licensing regime on natural health products is the single greatest threat to the maintenance of health and wellness of our citizens. The Medicines and Related Substances Amendment Bill, 6 of 2014, threatens to take away our freedom of choice, our control over our own bodily integrity as we see fit, and an erosion of our personal sovereignty. Natural health products are being treated like ‘dangerous drugs’, yet they are demonstrably the safest and healthiest substances one can consume. Next in line for equally restrictive regulation will be all African Traditional Medicines. In meetings between the Department of Health and the Parliamentary Portfolio Committee for Health prior and during the law-making process related to this Bill, the Department of Health made it clear that their intent is to use this Bill to gain control over and regulate all African Traditional Medicines in the near future. In the same manner in which role-players in the non-indigenous Natural Health Product sector were excluded from participating in decision-making process, African Traditional Healers were and remain kept in the dark about these plans being drafted, likewise the Traditional Health Professions Council and House of Traditional Leaders. This Bill will severely undermine the traditions, culture and belief systems of over 80% of South Africans who rely on Traditional & Natural Health Products for their primary healthcare needs. It will impose severe restrictions on non-drug therapies and personal wellness choices. We hereby demand the following changes to this Bill, currently before the National Council of Provinces. We call for the express exclusion of traditional and natural health products from Bill 6, currently before the National Council of Provinces. We demand that these products be regulated separately from pharmaceutical drugs, and that this intended legislation must exempt these products from the intended amendment to the Medicines Act. We call for the urgent appointment of an independent Commission of Enquiry or Review Panel to investigate the manner in which the National Department of Health is running roughshod over the rights of the Traditional & Natural health sector and adversely affecting public health by forcing the shut-down of the natural health industry through excessive regulation, high licensing fees and inability to assess a single product application in almost two years. We call for a new Traditional & Natural Health Products Bill, which will create a fair and appropriate regulatory framework for these products, being considerate to, and supporting the various health philosophies and traditions represented. We call for a halt to the current discriminatory regulatory framework, which intendeds to establish dual registration and licensing systems for indigenous traditional medicines (African Traditional Medicine) and non-indigenous traditional medicines (Chinese Traditional Medicine, Traditional Western Herbal Medicine, Traditional Unani-Tibb Medicine, Traditional Ayurvedic Medicine etc). We call for the establishment of a new Directorate or Department of Traditional and Natural Health, separate from the Medicines Control Council. This Directorate will oversee the evaluation of Traditional & Natural Health Products, and will be capacitated predominantly by experts in the relevant traditions and natural health modalities represented. We call for a representative Complementary Medicines Committee (CMC), duly appointed by advertising member positions by public notice. At present it represents only one stakeholder group, namely the Allied Health Professions Council of South Africa. We urgently call upon all concerned citizens to express their concern regarding the inappropriate and disingenuous Bill 6 (Medicines and Related Substances Amendment Bill), and call for its rejection or significant amendments to remove health products from the proposed, before being enacted by Parliament. Please add your name to this vitally important protest by signing this urgent petition today! Your voice must be heard. Your health freedom and rights depend on all of us expressing extreme alarm at this dangerous legislation. Every citizen will experience the negative impact on themselves and their families if we allow it to be steamrolled through. The petition is closed and has been removed. Thank you for caring. Join the TNHA and help us win?